To start our students off on their “journey to success”, we will be partnering with Harper for Kids (HFK), a children’s nonprofit organization founded by Peanut Louie Harper and Tim Harper. We will be incorporating HFK’s Youth Character Development Program, which is based upon legendary UCLA Coach John Wooden’s Pyramid of Success into our character education program. HFK introduces Coach Wooden’s Pyramid of Success life skills through his children’s book, Inch and Miles: The Journey to Success, which Peanut collaborated on. Coach John Wooden became famous for his positive coaching style that led his UCLA basketball team to 10 national championships, seven of them in a row, winning 88 straight games. He also received the Presidential Medal of Freedom and was ESPN’s Coach of the Century. All the help from home to reinforce these character traits and to discuss what these attributes look like for adults as well as children will help our teachers make it a consistent, valuable program for our Northwood Elementary students. Our hope is that the program will continue through their lives to help them realize their full potential. Let’s all work together to do OUR personal best! Students, parents and teachers, all of us working to do our personal best . . .and along the way we will make Northwood Elementary School be the best it can be! I look forward to working with all of you on this exciting program to help your children achieve their personal best! Conversation, in person or by telephone, between the verifying employee and the student’s parent/guardian or parent representative. Northwood Elementary school maintains a 24 hour attendance line for your convenience in reporting student absences. The attendance line phone number is (949) 936-5951.Please call the attendance line each day your child is absent. A phone call to the attendance line or note to the office personnel reporting an absence must be received from the parent within three days of the child returning to school. State law requires regular attendance. If your child is absent or going to be absent, please call the 24 hour attendance line at (949) 936-5951. Information Regarding the Federal Law “No Child Left Behind” (NCLB) and Truancy: Students going out of town or on vacation are to be marked as truant under the "No Child Left Behind" federal law. Truancy indicates a violation of the laws requiring children be at school everyday their school is in session. Students without a valid excuse shall be classified as truant. Our school district is required under Board Policy (5112) to monitor student attendance and to follow specified district guidelines for referrals to the School Attendance Review Board regarding attendance issues. Parents will be notified of excessive absences, tardies, and truancies. Page 1 The following will hopefully aid in your understanding of parental responsibilities under the law. A student’s absences shall be excused for justifiable personal reasons including but not limited to: court appearance, observance of holiday or ceremony of his/her religion, religious retreat attendance for no more than four hours per semester, employment conference. A student is considered truant if the student was absent without school notification from the parent/guardian. If a parent did not telephone office personnel or send a note within the three days of the child’s returning to school; or, the child was absent for an unexcused reason the child will be marked as unexcused. Each unexcused absence equals 1 truancy. Class participation is an integral part of each student’s learning experiences, parents/guardians and students are asked to schedule medical appointments during nonschool hours (Board Policy 5112a). If a student must miss school due to a medical/dental appointment, please deliver to the school a note from the medical/dental professional indicating the student name, date and time of the appointment. This medical/dental note allows the attendance record to reflect an excused absence. Students are to arrive on time and remain in school for the duration of the school day. If a child arrives late, this is recorded as a tardy. If the tardy is due to a morning medical/dental/orthodontia appointment, when the child checks into the office please deliver a note from the medical/dental professional indicating the date, child’s name and time of the appointment. This allows the attendance office to mark the child’s tardy as excused. Parents of tardy students need to say good-bye to their child at the office as instructional time has begun in the classrooms. Do not walk tardy students directly to the classroom. The district’s computer database automatically creates letters to parents of student’s meeting prescribed No Child Left Behind truancy attendance thresholds. Our school and district continues to notify parents of excessive absences, tardies, and truants, and will follow prescribed procedures: (1) Parent notification of excessive absences and/or tardies, (2) Parent Meeting with the Principal and completion of a Parent /Student Attendance Agreement (3) Parent meeting with the School Attendance Review Team, (4) Family referral to the District School Attendance Review Board. To ensure student safety and a consistent focus on academics, all adults need to check in at the office before entering the school campus. Parents and/or visitors need to sign in with a valid picture ID using our electronic Visitor/Volunteer system. All Visitors/Volunteers must wear a badge at all times while on campus. The District mandates all Volunteers complete and have on file a Volunteer Screening Form. Personal articles (toys, radios, etc.) may not be brought from home without prior written permission from the principal/teacher. At the end of each trimester, each grade level holds an Awards Assembly to recognize and reward individual students for outstanding behavior and achievement. ROLL Bucks and Roll Points - In addition to Trimester Awards, students receive positive reinforcement through our “ROLL” incentive program. ROLL stands for: (R) Respectful, (O) On-task (L) Living Responsibly, (L) Living Safely. Students can receive ROLL Bucks and points from staff members by exhibiting these values. Points and ROLL Bucks help classes earn incentives. At Back-to-School Night, each teacher provides parents with an overview of the material to be covered in the school year and an outline of expectations of student behavior and performance for the year. Because behavior and discipline are the shared responsibilities of the home and the school, a cooperative and supportive partnership benefits students best and leads to the best outcome: self-discipline. When children behave appropriately, all students can enjoy an optimal safe learning experience, free from distractions to learning goals. Because each student at Northwood is entitled to a safe and respectful school environment, we expect all students to behave in an appropriate manner and be held accountable for behavior that disrupts or inhibits the educational process. Northwood provides many opportunities for children to develop respect for others and the ability to work and learn together collaboratively. Positive reinforcements for good behavior include praise, ROLL bucks, class incentives, periodic commendations and/or special rewards for demonstrating good citizenship. When students make poor behavioral choices and create disruptions to our learning environment, school disciplinary measures need to be enacted. School disciplinary measures range from minimum consequences (given a warning and being reminded of the rules), to intermediary consequences (loss of playground privileges, a citation sent home, or a parent conference with the principal), to maximum consequences (suspension or expulsion from Northwood). Behavior that intentionally causes injury to another person is cause for immediate citation or suspension from school. Additionally, any student who is in possession of a firearm or a knife will be recommended for expulsion from school. Each case is handled on an individual basis in accordance with District policy, including IUSD’s ZERO TOLERANCE POLICY. Many students confuse the concepts of self-defense and aggression. Some students, for example, think it is acceptable to strike back and declare it to be in self- defense. This is unacceptable because there is a major difference between SELF-DEFENSE and AGGRESSION. When a person blocks a punch, it is considered self-defense, but when a child strikes back, he/she becomes an aggressor and is equally accountable. Retaliation never solves the problem; it only makes the problem bigger. If your child encounters aggression from another student, they need to seek assistance from an adult staff member. Children in grades 3 through 6 may ride bicycles to school with parent permission. 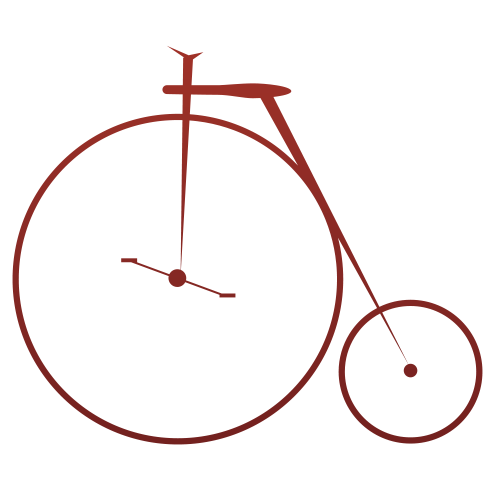 Parents and students must complete the “Permission to Ride a Bicycle” form and submit it to the school office. In our continuing effort to promote safety, we require that all bike riders wear helmets. It is the responsibility of each student to lock their bicycle with his/her own lock in the bike rack each day. If your child does not have a lock, please leave the bicycle at home. Bicycles are to be registered with the City of Irvine Police Department. Bicycle registration serves a dual purpose: (a) in the event of an accident, a child’s parents will be quickly notified on the basis of the registration information, and (b) registration of bicycles helps to find and return lost or stolen bicycles. Bicycle registration forms may be secured through the Irvine Police Department. Heely shoes, Razors, scooters, skateboards, roller blade skates and other mobility devices are not allowed on school property. At Northwood Elementary we like to recognize our students on their special day, but given the current demands of the curriculum and some children in the classroom may have severe allergic reactions to specific foods (e.g., peanuts), we cannot have birthday parties for students. Check with your child’s teacher at least 24 hours in advance before bringing birthday treats. Treats will be shared during lunch or recess at the lunch tables and should be store bought to ensure health safety. We also appreciate healthy choices with respect to snack selections, so please do not select foods which are high in fat, artificial ingredients, and sugar. Also consider alternative forms of celebration such as donating a book to the class library or school items like pencils, erasers or markers. Do not send balloons or flowers as they disrupt the learning program and distract students. Northwood’s policies to address bullying behavior is in alignment with IUSD’s and the State of California’s policy on bullying. When concerns are brought to our attention, we respond in a timely manner in order to ensure our students feel safe and supported. Our focus is on maintaining a safe environment for our students, taking ownership of behavior, developing empathy, providing opportunities for students to engage in restitution, and teaching student’s replacement behaviors and healthy communication skills. Students are engaged with electronic devices on a weekly basis at least for 30- 60 minutes. Our computer lab Media Tech assists our staff and students with computer-assisted instruction. In order for your child to use electronic devices in a safe, academic way and for them to access school’s web based instruction program, parents must complete the technology software agreement at the beginning of the year. Student without permission cannot be allowed to use electronic devices. In accordance with California law, school staff members are obligated to report the reasonable suspicion of physical abuse, emotional abuse, emotional deprivation, physical neglect, inadequate supervision, or sexual abuse and exploitation. In these deeply serious matters, the school staff will make such reports in the best interest of the affected child and make the report to the proper authorities for their investigation and review. A written request shall be presented at least two school days in advance of the requested observation. Parent observers shall be expected to control their movement and their remarks so that no teaching or learning is interrupted. The duration of any observation shall not exceed one hour. The frequency of observation of any individual staff member by the parents of any individual student shall not exceed three times per year, or more than once per month unless otherwise authorized by the Superintendent or designee. Parents observing in the classrooms will maintain confidentiality about the learning environment. Students with a contagious or infectious disease should be kept at home for their own and others’ protection. The school should be notified when a child contacts a communicable disease. Please contact the school health office at (949) 936-5961 if you have any questions. IUSD’s Health Guidelines can be found at IUSD.org under Health Services. Limited counseling services are available for identified students with school related issues. Students are referred by the principal, the teacher and/or the parent/guardian. Additionally, if there are any stressful circumstances that arise for your child (such as the death of a loved one or difficulties at home), please notify your child’s teacher and/or the principal as it may affect your child’s ability to concentrate at school. We will make every effort to be sensitive to the situation. In an effort to keep class disruptions to a minimum, items cannot be delivered to the classroom. If you need to deliver a forgotten lunch, homework or a musical instrument for a student, please deliver the item to the front office prior to 10:15 am and fill out a delivery notice which will be put into the teacher mailbox. Delivery notices delivered after 10:15 am may or may not be received by the teacher during the break. Teachers pick up delivery notices during their scheduled release/break times. Once a teacher delivers the notice to a student, the student is responsible for picking up the item at their next break/recess. Please remind your child to always check in the office if they have forgotten something. Students will be released only to parents/guardians or persons the parents have previously designated on child’s emergency card. If the students and staff are ordered to vacate the facility, a large sign will be posted on the office door stipulating where the students have been taken. You may also call the district office for more information at (949) 936-5000. Shoes should be appropriate and sturdy enough for school activities including physical education. For students’ safety, no flip flops, crocs, clogs, open-toed sandals or backless shoes can be worn at school. No distracting hairstyles or hair colors. Approved hats, hoods and caps are acceptable for outside activities only No jewelry that distracts from the educational environment or could be unsafe during physical activities should be worn. Shorts and pants must be of appropriate size. No baggy or saggy pants will be allowed. The shorts hemline should extend below the length of the child’s extended arm and should be longer than they length of the child’s extended hand. Shirts must be long enough to keep the midriff covered when the arms are raised. Undergarments or boxer shorts are not to be shown. Spaghetti straps, tube tops, and tops that are off the shoulder are not allowed. When leaving school prior to dismissal, students must report to the office to be signed out by a parent/guardian or an adult the parent/guardian has designated on the emergency card. This requirement is to ensure the safety and well-being of your child. Children who need to leave school during the day MUST bring a written excuse to the School Office in the morning for approval. The parent must sign the child out when they leave school, and sign in when they return to school. If a child needs to be dismissed early, the parent should report to the office to pick up his/her child. Parents are not permitted to the classroom to pick up children. For safety purposes, children will not be released to anyone not listed as an emergency contact. This program provides special help for students in academic areas. Students qualify for this program through the educational referral process. The Educational Specialist works in cooperation with the classroom teacher. Emergency information needs to be reviewed through Data Confirmation. It is imperative that all emergency information be current, as the phone numbers on file at the school will be used to notify parents in the event of an emergency or accident. The district maintains a minimum of 3 local emergency phone numbers should be provided for each child. No student can be released from school without permission from a parent/guardian (Board Policy 5112a). Only people listed on the student’s emergency contact information will be allowed to pick up children. They will be required to show valid photo identification when picking the child up. 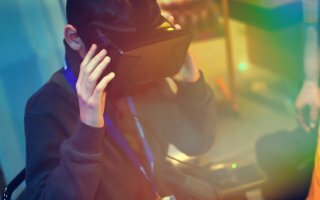 Parents are now expected to continually update their child’s emergency information on http://my.iusd.org. We recommend periodic reviews of the website to verify emergency information is current. If you wish to add someone new to your emergency information, for security reasons, you are unable add them through the website. The parent/guardian must come into the office to have a person(s) added to the emergency list. In case of illness or injury to a student, every effort will be made to contact the parent by telephone. It is important that your home, cell and business phone numbers, as well as emergency contact persons, be kept current in the Northwood student data base system. Please report changes of phone number or address immediately to the school office. If you expect to be away from home for any length of time during the school day, it is important that you tell your child when he leaves in the morning and make sure that the office has a number to call in emergencies when you cannot be reached. If you need to contact your child or take him from school during the school day, please come to the school office to sign him out. We will not release any student to anyone except the parents or legal guardian or emergency contact persons listed on the student's emergency card. Office staff will ask for identification if they do not know the person asking to sign out a student. The school periodically sends email messages about upcoming school events or dates. To make sure that you receive these important emails, please make sure that your email address is kept current. 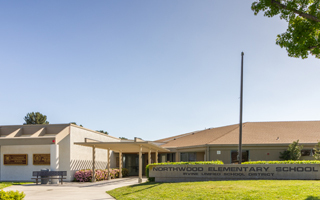 Visit the Northwood Elementary Website at www.iusd.org/nw, Click on "Our Staff", Click on the email address below the staff member’s name you wish to communicate with. The listed emails link directly to the teacher/staff email address for you to send your message. We ask that you put your student’s name as the subject in the subject line. Our district server is a secure site with very sensitive anti-virus software. There are times an email might be inadvertently rerouted into a teacher’s spam box or junk mail. By identifying the student in the subject line, the teacher will know it is a parent/guardian who is emailing them with school business. Staff members will attempt to respond to your email within 1-2 school days. The English Language Development (ELD) Program consists of newcomer primary classes. Students receive intensive instruction to develop their skills in English. Students who need to learn English Can be offered placement in the ELD program for approximately one year before transitioning to a regular education classroom. KNIVES, GUNS, OTHER WEAPONS: It is against the law for students to bring these items to school. IUSD has a Zero Tolerance Policy for such objects. Drugs or Alcohol: The possession, sale and/or use of any controlled drug (including alcohol), look-alike drug, or drug paraphernalia may result in an immediate student suspension from school and all school activities for the duration of the suspension. Police will be notified and parent(s) must meet with the Principal. Toys: Toys are not permitted at school and are to be left at home, unless they are brought with teacher’s permission and are to remain the backpack for the duration of the day. Electronic Devices, Music Players, Smart Phones, and Cameras: These items are expensive and easily broken. They also can become a source of dispute or conflict. Electronic Devices may only be used at school for academic purposed under the teacher’s authorization during class time. All unauthorized uses including recess, lunch or unpermitted class time will be confiscated and available in the school office for parent pick-up. The school and district are not responsible for any lost, broken or stolen items. Play Equipment: The school has a supply of play equipment which should be adequate for student use. When students bring their own play equipment from home, it causes problems on the yard. Some equipment is not appropriate for use on a crowded playground at recess (Frisbees, for example) and can only be used at a P.E. period under teacher supervision. Gum is not allowed at Northwood. Students are encouraged to bring a nutritious snack to be eaten at recess or lunch in the designated lunch area. Any special health problems or changes in health, please contact our Health Clerk at (949) 936-5961, or email the School Nurse directly. Homework is defined as: "Any work assigned by or recommended by the teacher to be done outside of class." The Board of Education recognizes that learning takes place both within and outside of the classroom. Therefore, it should be emphasized that regular assignments outside the instructional day are an important part of the total instructional program. Such assignments should be made according to the needs of the student and the nature of the subject. The role of the parent in homework is to provide home conditions conducive to learning, and to show a genuine interest and a positive attitude toward their child's work. Younger children need help in developing a routine and in choosing a quiet, well-lighted place to complete the assigned task. As children grow older, they need the ongoing parent support and recognition of the importance of schoolwork. The role of the teacher is to assign appropriate homework in relation to the needs and abilities of the student, to assign work that is in direct relationship to work being covered in class, and to evaluate assignments returned by the student. Aid in the mastery of essential skills (e.g., reading and writing). Provide opportunities for parent-child interaction. Give students the time needed to prepare reports and presentations. Afford students with an opportunity to complete work not finished in class. Complete of assignments missed due to excused absences. Master good study habits, including: (a) time management, concentrating on the task at hand, taking responsibility for completing work assigned, and being accountable for the quality of one’s work. Children should not be sent to school if they have an elevated temperature, have been vomiting, or other genuine symptoms of an illness. Children should remain at home until their health permits them to participate in all school activities, including recesses. It is recommended that your child be free from fever for 24 hours before returning to school. An ill or injured child is routinely sent to the Health Office where necessary first aid is provided until his or her parent arrives. Our school Health Clerk handles first aid and will be calling you if your child is ill, injured or needs to go home. She is not qualified to make medical diagnoses. Our health office is supervised by our school nurse. The nurse is available for parent conferences by appointment. Please make sure all emergency contact information on file is kept current. We will always try to contact parents first and then those noted on the emergency contact form. Please make sure that the people listed are willing and available to come and get your child if we must call them. Northwood Elementary operates on a traditional schedule. Classes are selfcontained and organized on a graded structure, with single-grade classrooms and multi-grade classrooms. The curriculum in all areas is defined and taught in a systematic and sequential manner. Emphasis is placed on developing mastery of grade-level skills, creating a warm and supportive atmosphere, and providing every child with opportunities for success. Our staff also focuses on helping each child develop a positive self-concept, a sense of social responsibility, and a positive attitude toward learning. Additionally, a great deal of importance is given to problem-solving and thinking skills, leadership skills, an understanding of democratic processes, and an understanding of the world in which we live. Students arriving at school late must report to the office to be counted in attendance before going to class. A note from the parent explaining the reason for late arrival is required or an adult must sign the child in at the main office. If a student is late due to a medical or dental appointment, please bring a doctor’s note. No child is permitted to leave school during school hours. If it is necessary for your child to leave during school hours, the parent/guardian must sign him/her out at the office. The child will be called out of class once the parent/guardian has arrived and student has been signed out. Please allow 5-10 minutes for your child to be located and called out of class (e.g., if you need to leave at 1 p.m. for an appointment, please be in the office by 12:50 p.m.). No child will be released to anyone except a parent/guardian unless the office has been notified in advance. Small items of value, such as glasses, jewelry, money, etc., should be taken to the office when found. Large articles such as clothing, backpacks, etc., are taken and hung on the lost and found rack. Students may look for and claim lost items. Students' names should be written on or sewn in articles to enable prompt return to the rightful owner. Unclaimed clothing is sent to social agencies at the end of each grading period. We recommend parents occasionally check the lost and found rack. (for lunch times, see Bell Schedule) Lunch is available for purchase on a daily basis or parents may directly deposit money into their child’s “Lunch Box” account via the IUSD website. For those children who bring sack lunches, milk and juice are available for purchase. Irvine Unified Nutritional Services publishes a monthly menu on their website. You may find the website utilizing: (1) www.iusd.org/district_services, (2) Click on: Business Services, and (3) Click on: Nutritional Services. Please make sure that your child has either a sack lunch or money in their “Lunch Box” account before leaving for school each day. The school office has no monetary resources for lending lunch money to students. If you feel that your family may qualify for either the free or reduced lunch program, you can obtain an “Application for Free/Reduced Lunch” online via the IUSD website or stop by the school office. Display your best table manners – use soft voices and don’t play with food. Pick up and put all trash into the proper cans. Walk; do not run in all school areas. Wait until you are dismissed before you leave the lunch area. It is likely that some time during the school year your child will have a medication prescribed for the treatment of a health problem. As a general policy, the school recommends that children receive medication at home whenever possible. In the event your physician decides your child needs to receive medication during the school day, certain procedures must be followed. Medicines, whether they be prescription or over-the-counter, may not be brought to school without medical authorization signed by a physician and parent. In the event that a doctor has prescribed medication for your child that must be taken during school hours, the school must be notified. State law requires that the necessary forms must be completed before any medication can be administered at school. All medications are only distributed through the nurse or school office personnel and medication must be kept locked in the nurse’s office. The law requires that: (1) the medication must be in the original pharmacy bottle properly labeled by the pharmacist, (2) a consent form signed by the child’s parent or legal guardian, and (3) a signed Doctor’s order. Medication must be delivered to the school office by a parent/guardian. These regulations pertain to both Prescription and Non Prescription drugs. For more information on the specific procedures that need to be followed, contact our school’s health office at (949) 936-5961 or email the School Nurse. To avoid interruption of classroom instruction, email is the best way to communicate with your child’s teacher. We forward messages for teachers or pupils to the teacher's voice mail. Please inform the office if the call is an emergency so we may call your child out of class to take the emergency call. We ask that you please be courteous of the classroom learning atmosphere and try to keep interruptions to a minimum. The office telephone is for emergencies only and not for routine phone calls. Both parents and teachers are encouraged to communicate regularly regarding any needs and concerns. The recommended procedure for conferring with a teacher is to make an appointment. Most concerns can be resolved between parent and teacher, but when a solution cannot be found, the principal will be more than happy to see you. Teachers have been asked to call parents when a conference is needed, and school dates have been reserved for parent/teacher conference days. The dates for conferences are listed on the Northwood school calendar. Student safety is our number one priority. With this in mind your assistance is requested in helping maintain order and safety in our school parking lot. Please be patient and cautious and follow the standards listed below. Pull up to the curb to drop off and pick up students. Students dropped or picked up at the curb should exit/enter the vehicle using the door closest to the curb. Park your car only in parking stalls marked “visitor” or on the street. Pull all the way forward in the traffic line. No double parking or “hovering” beside another car is allowed. Use the designated “Blue Cross Walk” when crossing the parking lot. Walk only on the sidewalks. Please do not drive faster than 5mph. Do not use cell phones or handheld devices when driving. PUT STUDENT SAFETY BEFORE ADULT CONVENIENCE AT ALL TIMES! Always be courteous and respectful to everyone. No name calling, cursing, teasing, put downs or bullying. Be in the right place at the right time. Use school equipment in a safe and proper way. Walk on sidewalk and blacktop areas. Do not arrive at school or be on the playground before 8:05am. After school is over, leave the school grounds immediately. The staff and our Northwood Elementary School Parent Teacher Association will continue to work together to ensure consistent communication between school and home, facilitate opportunities for social interaction, parent education and fundraising. Every parent is encouraged to join our PTA. Parents are also welcome to attend our PTA meetings to participate in the decision-making process and help support Northwood. As a parent of an elementary level student, keeping in touch with your child's school and teacher is important to the academic success of your child's education. Parents are always encouraged to communicate with teachers regarding their child's progress. Attending school activities such as Back-toSchool Night, Parent-Teacher Conferences, and Open House are all ways to become acquainted with your child’s teacher and familiarizing yourself with each teacher’s learning goals and behavioral expectations. If you have questions specific to your child's progress or a classroom issue, please contact your child's teacher directly before bringing your concern(s) to school administration. It is important to keep open lines of communication between parents and teachers to ensure the best education for your child. Arranging a meeting with your child's teacher can be done by calling the school or emailing the teacher (The email addresses of all teachers are posted on our school's Web site at http://www.iusd.org/nw/ under “Our Staff”. The staff contact directory lists all teachers by grade level and includes both email and voice mail contact information. Parent-teacher conferences are scheduled by the teacher on an as needed appointment basis. These conferences take place twice a year (Fall & Spring) and provide a planned opportunity for parents and teachers to discuss each student’s achievements and progress. For the protection and safety of persons using our school grounds, the walking of dogs or other animals on our school campus is prohibited by the Irvine Unified School District. Students should not be dropped off prior to 8:00 in the morning as there is no supervision before this time. The front of the school is the only designated safe drop off and pick up site for Northwood students. Any other location is not considered safe and is unsupervised. The parents who are late picking up their students on multiple occasions may be referred to IUSD’s Student Services Dept. and/or the Irvine Police Dept. Students are to be picked up no later than ten minutes following dismissal time. Students are expected to leave campus immediately after dismissal. Please adhere to this policy for your child’s safety since there is no supervision beyond this time. Please meet your child in front of the school at dismissal time rather than classroom hallways or the playground area. Meeting in the building is distracting to other classes still in session and limits the physical space available for students to secure their belongings and be dismissed in an orderly fashion. If you need to pick up your child prior to the regular dismissal time you must come to the office to sign your child out of school. NO CHILD IS PERMITTED TO LEAVE CAMPUS WITHOUT YOUR SIGNED PERMISSION OR THAT OF AN AUTHORIZED ADULT OF YOUR CHOOSING. Any adult who signs a child out must be listed on the child’s emergency card and at least 18 years of age. The physical education program is an important part of the elementary education experience for students. If a health condition prevents a student from participating in physical activities over an extended period of time, a note from a physician indicating the limitation is required. Supervision on the playground begins at 8:05 a.m. NO STUDENT should arrive before 8:05 am. If your child is going home with a friend or is leaving school in any way other than usual, please send a note with the child in the morning stating the change from daily procedure to your child’s teacher and the office staff. Children are asked to go directly home after school and not to remain on the playground. There is only ten minutes of adult supervision after school. Cases involving parents who are habitually late picking up their children may be referred to Student Services and/or the Irvine Police Department. Progress reports will be sent home at the teacher’s discretion. If your child is at risk of not meeting grade-level performance standards, teachers are required to send home a progress reports. Inform the students and parents about required skills. Send the student to school, except when the student is ill. Provide a quiet time for the student to do homework. Attend school conferences on the student's progress. Support the school's efforts in helping the student be successful in school. Understand what skills are required. Attend school regularly and on time, except when ill.
Do the work assigned in class and as homework. Be attentive during class time. Deliver messages between parents and school. Please review with your child the safest route to school. Children are expected to practice good citizenship and obey school rules on the way to and from school. Students must use sidewalks and designated crosswalks. For student safety, Northwood students are not allowed to cut through open fields or unmarked intersections. The Irvine Police Department has designated the Yale/Trabuco signal as the safe Trabuco crossing (see Safe Routes to School Map, page 26). Visitors are welcome at Northwood Elementary School, but for the safety and protection of students, all persons visiting our campus must enter and exit through the school office, sign in and out, and wear a visitor’s sticker while in the school. Trespassers are subject to legal action. Additionally, school buildings and grounds are smoke-free and alcohol-free at all times. A specially trained and credentialed therapist works with identified students on articulation and language development. Students qualify for this program through the education referral process. Children are expected to be in their classroom line when school the bells rings at 8:15am. Students should not arrive at school before 8:00 am. There is no supervision prior to this time. If a student is late to school, he/she must check in at the front office to obtain a late slip. A student is considered tardy if they are not in class or in the classroom line when the bell rings. Repeated tardies are viewed as truancy under state law. Three tardies greater than 30 minutes late to school (8:45am); or nine tardies less than 30 minutes late to school equals one (1) day truancy. A parent note, a call to the attendance line or Doctor’s note is required to verify the reason for the tardy. To prevent classroom interruptions during instruction, teacher’s classroom phones have been set up for voicemail messages. Children are encouraged not to use the office telephone unless it is an emergency. Be aware that it is the student’s responsibility to bring homework, lunch, or lunch money to school each day and forgotten items do not usually constitute an emergency phone call home. In emergency situations, if it is necessary for you to speak with directly with your child, the office staff will be happy to assist you. Please try to make all after school arrangements prior to your child leaving home as children will not be permitted to go home in a different manner than normal UNLESS the parent sends a note with specific instructions to their child’s teacher and the office staff. To avoid interruptions during the school day, student cell/smart phones must be turned off and kept in backpacks. If school personnel see, or hear your child’s phone during the school day, they will confiscate you child’s phone and turn it into the Principal’s office (this applies to phone usage inside the building or on the outside school grounds). In order for the student to get their phone back, their parent or guardian must make an appointment to meet with the principal. Textbooks are provided free on a loan basis. Students will be held accountable for their care and return. If a book is lost or damaged, the student’s parents/guardians are financially responsible for the book. All books are accounted for at the end of the school year or when a student transfers. Textbooks are expensive...most are in the $65.00 to $120.00 range. Students are therefore encouraged to take very good care of their books. Talk to your child's teacher frequently. 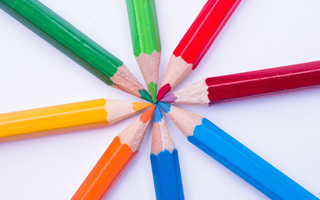 Together you are a team for your child's academic success. Provide a quiet place and a consistent time to do homework. Support your child in homework efforts but refrain from doing the homework for them. Help your child learn to follow directions. Give one and two-step directions and see to it that tasks are completed. Teach your child to show respect for others by using polite phrases such as "please," "thank you," and "excuse me." Model and reinforce appropriate behavior. Help your child learn his/her address and telephone number. Guide and monitor your child's television viewing. Listen to your child and encourage your child to talk about new experiences. Explain the meaning of new words to your child. Encourage your child to succeed by encouraging his/her best work, but do not expect more than your child is capable of doing. Involve your child with reading and writing activities. See that your child gets a good night's sleep and has a nutritious breakfast. Write your child's name on all personal items brought to school such as jackets, lunch boxes, backpacks, etc. Refrain from sending to school a sick child or one who has had a fever within the past 24 hours. This precaution will help preserve the health of other children. Please telephone the school when your child will be absent. Your child will need a written excuse upon returning to the classroom. Dress your child according to the weather conditions as temperatures can fluctuate greatly during certain times of the year. Outside activities such as PE and recess will take place when the weather permits. For emergency purposes, please keep your emergency contact information current. Parents are able to update emergency contact information through the MyIUSD.org website. The Irvine Unified School District strictly prohibits the use of products containing tobacco or nicotine, including, but not limited to smokeless tobacco, snuff, chew, and clove cigarettes, by students on any district campus or while attending school-sponsored activities, or while under the supervision or control of district employees. This prohibition also applies to electronic nicotine delivery systems, such as electronic cigarettes, electronic hookahs, and other vapor emitting devices with or without nicotine content that may mimic the use of tobacco products. Student use or possession of such products must conform to laws governing student use and possession of medications on school property. If you plan to move outside of the Irvine Unified School District, please notify the school office. Parents will need to come to the front office and sign a withdrawal form to officially withdraw their child on the student’s last day of attendance at Northwood. For transfers within the Irvine Unified School District, parents will obtain from the Northwood office a printout from our district database and take the printout with proof of residency to the new Irvine Unified neighborhood school they will attend. When you have a firm leave date, please notify the school office and teacher at least 3-5 days prior to your child’s last day at Northwood Elementary, This will allow teacher to gather all student work and the office to complete paperwork and allow a smooth transition for your child’s departure. Pursuant to Irvine City Ordinance IV-14-702A, all visitors must register in the administration office between the hours 7:00 am and 4:30 pm Monday through Friday. Violation of this statute is a misdemeanor punishable by fine and/or imprisonment. Operating motor vehicles, cycles, carts, etc. A Use Permit is required for the use of Northwood’s property by groups and organizations. Your cooperation is appreciated; violators will be prosecuted. If you see anyone engaging prohibited activities on the Northwood grounds, we encourage you to contact our administrative office during school hours and/or the Irvine Police at any time at 949-724-7000.